On December 4th - 5th, 2018, the Life Sciences Exhibition “BioFit“ was held in Lilly (France). During this event, the Center for Physical Sciences and Technology presented fully developed innovations in the fields of biomedicine and biotechnology. The “BioFit“ exhibition is one of the most important European events to promote academic community and industry collaboration in the field of life sciences. Researchers and technology transfer specialists, representatives of pharmaceutical companies and biotechnology companies meet there. It is a great opportunity to establish contacts that may develop into beneficial cooperation agreements. At this event, the Center for Physical Sciences and Technology (FTMC) presented a series of fully developed innovations in the fields of biomedicine and biotechnology, such as artificial corneas, innovative antibacterial coatings for pharmaceutical and food packaging. Such technologies could accelerate wound healing, restore vision, and provide a clean and safe environment. "At this fair, we are aiming to attract new industrial partners to whom we can pass on the technologies we have developed to make them accessible to the general public and help to solve serious health problems," said Karolis Stašys, Innovation Manager at FTMC. 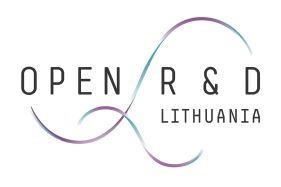 The opportunity to participate in this event was given by the “Open R&D Lithuania“ network, organized by the Scientific, Innovation and Technology Agency (MITA).